The wreckage of an Iranian plane that crashed with 65 people onboard was found in central Iran on Monday, February 19, 2018, officials from the region told state media, although aviation authorities could not confirm the report. Severe weather in the mountainous area has hampered search operations. The Aserman Airlines flight disappeared from radar screens on Sunday, February 18, 2018, 50 minutes into its journey from the capital, Tehran, to the southwestern city of Yasuj. 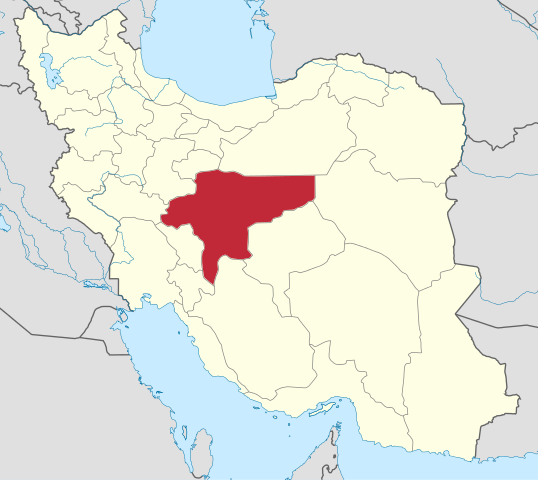 It is believed the ATR-72 went down in severe weather, crashing into the Mount Dena area, about 14 miles (22 kilometers) from its destination, in a remote area of southern Iran, BBC writes. State media reported the deputy governor of Kohgiluyeh and Boyer-Ahmad province saying the wreckage was found near Dengezlu city, in Semirom county, Isfahan province. However, Iran’s Civil Aviation Organization said it could not confirm the wreckage had been discovered, Reuters reports. According to Bloomberg, Aseman Airlines spokesman Mohammad Taghi Tabatabai said all 65 people on board Flight EP3704 were killed. The plane was carrying 59 passengers and six crew members, state media reported late Sunday, February 18, 2018, lowering the initially reported death toll of 66. According to BBC, Iran’s President Hassan Rouhani has expressed sympathy for all involved in the tragic incident, saying in a statement that it brought “great grief and sorrow”. High winds and mountainous terrain have hampered search and rescue operations and prevented crews from reaching the site in the immediate aftermath, state media said. Other news outlets also report dense fog and heavy snow in the Zagros Mountains. Due to the severe weather, Iranian rescue teams were only able to reach the site of the crash before dawn on Monday, February 19, 2018, Iran’s Press TV reported, according to Bloomberg. Once the weather had improved, helicopters, drones and mountain rescue teams from armed forces and the Red Crescent, as well as local volunteers, were involved in the search, however reports on these operations vary. “Five units started the search operation in the early hours of the morning,” a local Red Crescent official was quoted as saying by state media, reporting the freezing temperatures at the site being minus 16 degrees Celsius or 3.2 degrees Fahrenheit, Reuters writes. 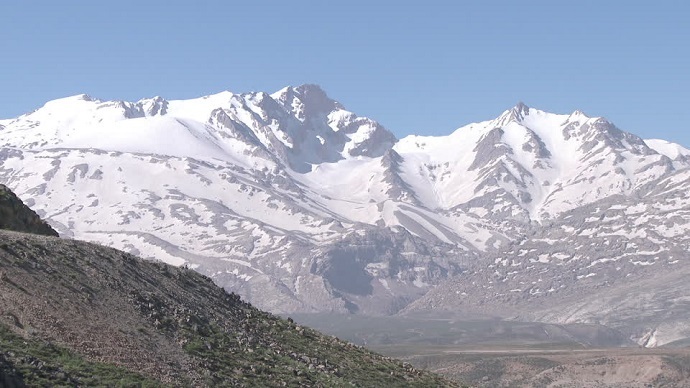 According to Bloomberg, Iran’s Press TV broadcast footage of a helicopter joining the search and showed ambulances and rescue vehicles preparing to reach the site on Mount Dena, which is about 14,400 feet (4,400 meters) tall; the site being at a height of 11,500 feet (3,500 meters). State radio said five helicopters and five drones are active in the search operation. Another Iranian news agency, ISNA, said that more than 150 climbers have joined the operation. Iran’s Transport Minister Abbas Akhoundi has reportedly visited the crash site on Monday, February 19, 2018. “We are facing a total enigma. We do not know anything about the crash,” he told Iranian Tasnim news agency shortly after his arrival. Iran has asked European countries and China to help in the search with satellite imagery, Iranian Space Agency deputy head Mojtaba Saradeghi said, Reuters writes. The Aseman Airlines ATR-72, a twin-engine turboprop used for short-distance regional flights, was just over 24 years old. It had been restored to service several months ago after being grounded for up to seven years. The European plane manufacturer ATR, a joint venture between Airbus and Italy’s Leonardo, said the cause of the accident is not yet known. The crash of the ATR-72 is the latest Iran has suffered in the past few decades. A Boeing 727 crashed in northwestern Iran in 2011, killing 78 people, Reuters reports. For years, Iran was unable to import new aircraft and necessary spare parts due to U.S. sanctions over its contested nuclear program. The 2015 nuclear accord with world powers lifted some of those sanctions in exchange for curbs on Iran’s nuclear enrichment program, allowing Iran to purchase new aircraft and spare parts, Bloomberg explains. Iran has since signed deals to purchase tens of billions of dollars’ worth of new airplanes. Aseman Airlines already signed a deal in 2017 to buy 30 Boeing 737 MAX jets. The country’s flag carrier Iran Air has ordered 80 planes from Boeing and 100 from Airbus, Reuters reports. However, with the U.S. President Donald Trump’s harsh refusal to recertify the nuclear deal Iran once again faces uncertainty about those sales.